The new Hans Dampf and Eddy Current are ready for ripping. Schwalbe is getting close to production of the new Hans Dampf that we originally learned about a few weeks ago now. The Hans Dampf has gained a lot of stability in the shoulder knobs specifically which makes it more suitable for use as a front tire. 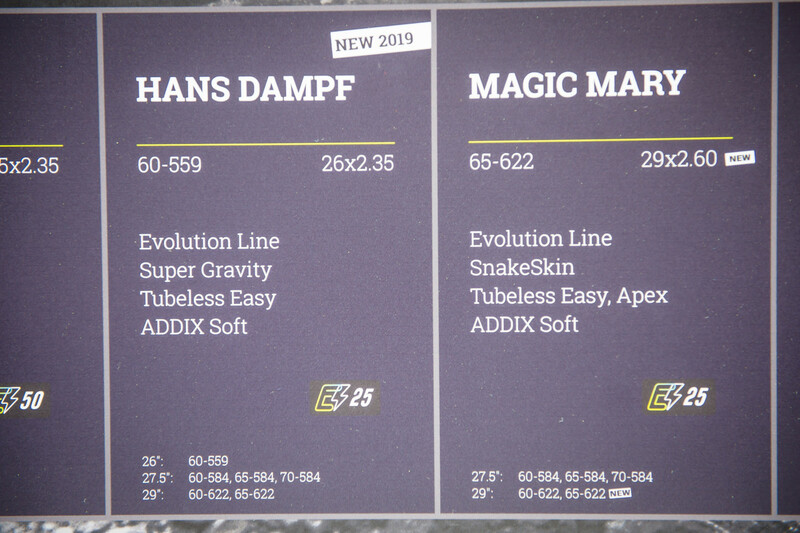 Previously many riders would run the Hans Damp in the rear, appreciative of its low weight and relatively good rolling resistance, often pairing it with a Magic Mary which you can see in the photo below - Magic Mary on the right, Hans Dampf on the left. Those now wanting to keep a more trail or all-mountain feel to their bike in the front can now use the new Hans Dampf up front as well. 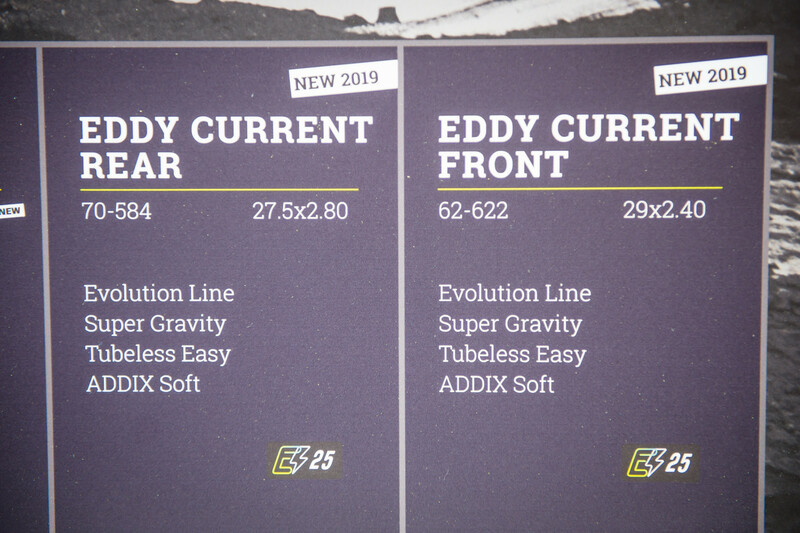 Other big news, if you are an eBike fan, is the new Eddy Current e-bike specific tire system. 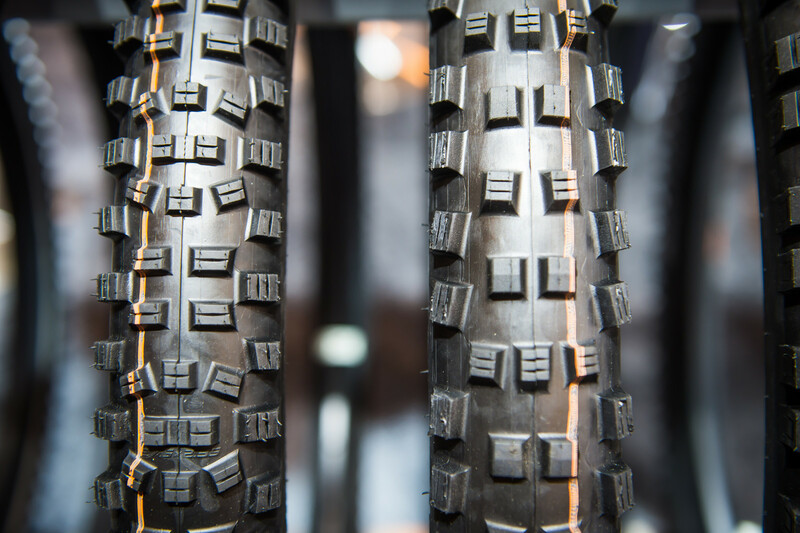 Essentially based on a motocross tread pattern, this tire places the premium on traction, resistance to cuts and puncture and was designed specifically to deal with the higher weight and power output of e-bikes. The 2.8-inch wide rear tire weighs in at about 1300 grams while the 2.4-inch front tire comes in at about 1200 grams. 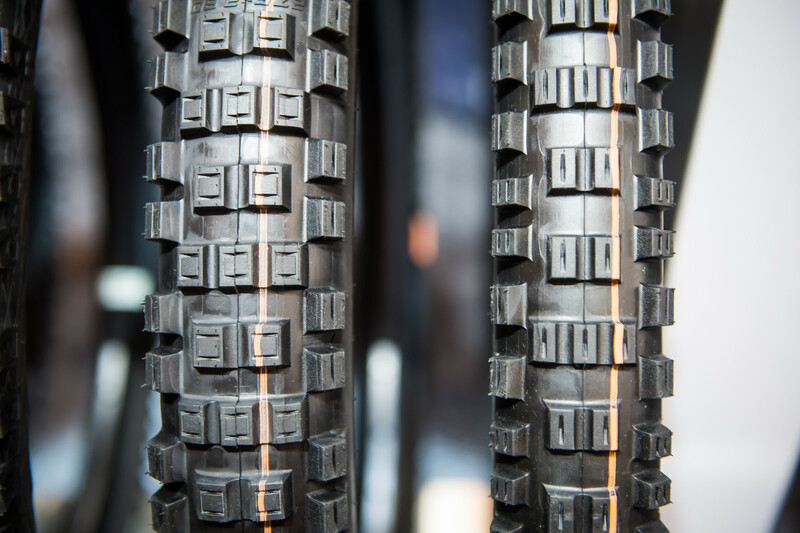 Schwalbe recommends these for aggressive e-mountain bike applications – 160mm travel and more. Whereas if you use your e-bike for more lightweight duty, these tires may be too much, even with the motor. You can see the knob pattern of this new tire is distinctively MX-inspired, very flat rolling surface and 20% larger knobs than on the Magic Mary because here of course, rolling resistance doesn't matter much, does it? All these new tires should be hitting the shelves in about August or so. I want those ebike tires motor or no motor! Just wish they make the rear in a narrower size!